So this post will be an introductory one on Kafka Streams. It is not intended to be one on Apache Kafka itself. For that there are many interesting books/posts/documents available which cover this topic. 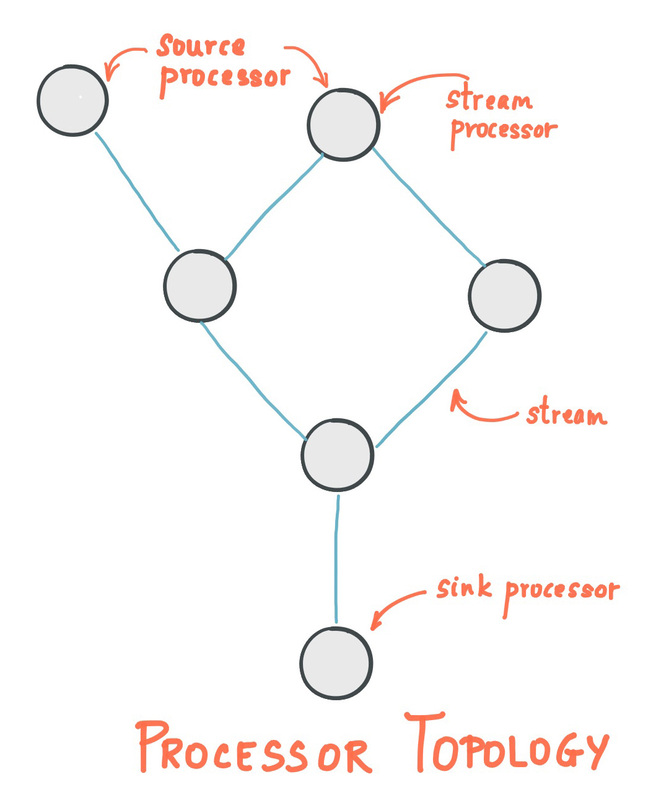 As shown in the diagram above, Kafka is a broker and is intended to run in a cluster (which might be a single broker, but that is obviously not what’s recommended). It also makes use of Zookeeper for various state storage/metadata. 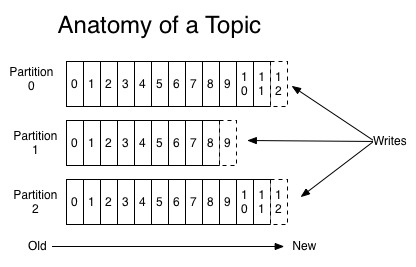 Kafka uses topics as a way of organizing what data is produced/read. Producers push data to topics, whilst consumers read data from topics. Another key part of a topic is the offset, which is maintained by the consumer, and it’s a indicator at to where the consumer should start reading data from within the topic. As one could imagine for this to be possible the messages must be ordered, this is something that Kafka guarantees for you. Kafka maintains message for a configurable amount of time. Meaning that a consumer may go down, and restart again, and providing its within the period of log retention, it will just start reading messages from where it left of. As I say I did not want to get too bogged down with the Kafka fundamentals, as this series is really about Kafka Streams, but the few points above as well as the “further reading” section should get you to a pretty decent position to understand the rest of this post. 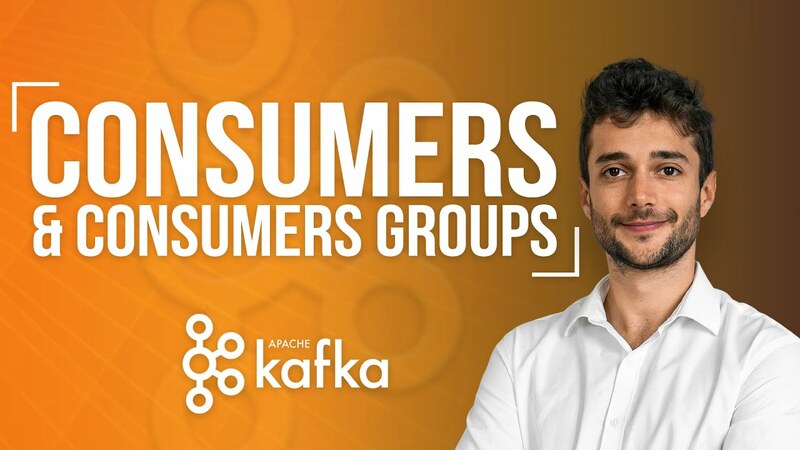 Kafka Streams has a low barrier to entry: You can quickly write and run a small-scale proof-of-concept on a single machine; and you only need to run additional instances of your application on multiple machines to scale up to high-volume production workloads. Kafka Streams transparently handles the load balancing of multiple instances of the same application by leveraging Kafka’s parallelism model. A KStream is an abstraction of a record stream, where each data record represents a self-contained datum in the unbounded data set. Using the table analogy, data records in a record stream are always interpreted as an “INSERT” — think: adding more entries to an append-only ledger — because no record replaces an existing row with the same key. Examples are a credit card transaction, a page view event, or a server log entry. If your stream processing application were to sum the values per user, it would return 4 for alice. Why? Because the second data record would not be considered an update of the previous record. If your stream processing application were to sum the values per user, it would return 3 for alice. Why? Because the second data record would be considered an update of the previous record. GlobalKTable provides the ability to look up current values of data records by keys. So that’s it for now. I have borrowed a lot of material from the official docs for this post, but as we move through the series we will start to form our own code/topologies, and as such our own tests/descriptions. So please forgive me this one.